Hope everyone had an amazing holiday weekend! This week is a short one for everyone, but really short for me… I’m off to London Thursday night!! I can’t wait to be back in my favorite city for the first time since I lived there in 2015. I’ll also be going to Paris for a few nights! I’ve never been in either city in June, so I’m excited to see everything in bloom and enjoy both cities in warmer weather. 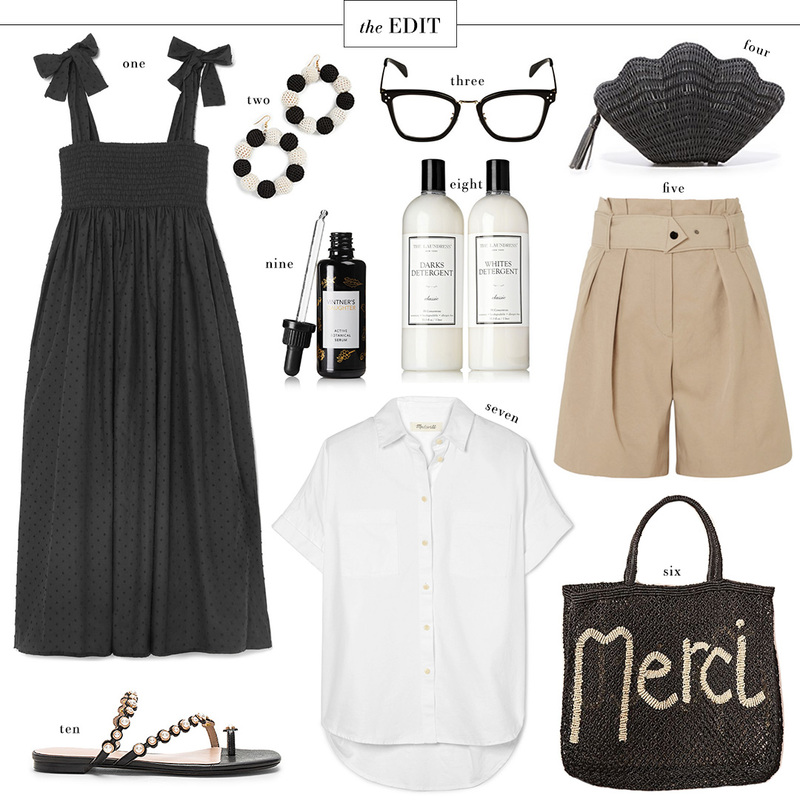 This Merci bag would be the perfect accent for this trip, don’t you think? Speaking of trips… have y’all had a chance to check out my new website?! I shared a peek of The Japan Itinerary on my Instagram Stories, for those of you interested. The next itinerary will be London, then Paris, then Portugal! If you have any family or friends going to any of those places in the near future, it would mean the world to me (pun intended) it if you could share A Detailed Destination with them. This has been such a fun project for me to work on, so I hope you guys love it!! I love that black dress, it reminds me so much of the one Midge wore in the Mrs. Maisel finale! Ever since watching it I’ve been all about bows on the shoulder. I love it all, especially the shoes!